Voters are going to the polls in France to choose their next president, amid high security following a deadly attack on Paris police three days ago. About 50,000 police and 7,000 soldiers are being deployed across the country to secure polling, reports the BBC. Eleven candidates are vying to be the country's next president, with leading candidates spanning the political spectrum from far-left to far-right. The two with the most votes will go to a run-off round in a fortnight's time. Polling stations in France opened at 08:00 local time (06:00 GMT), although some overseas territories began the voting on Saturday. Voting ends at 20:00, with exit polls expected quickly afterwards. 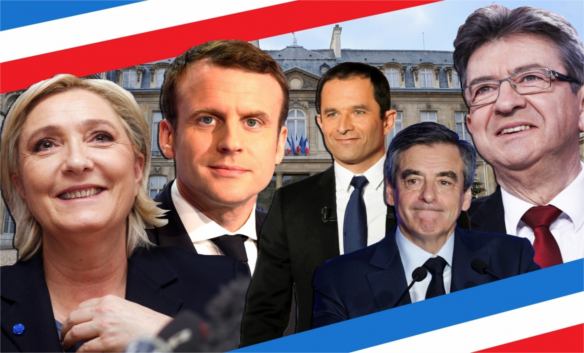 Four candidates are currently seen as being within reach of the presidency: the conservative François Fillon, the far-right leader Marine Le Pen, liberal centrist Emmanuel Macron and the far-left's Jean-Luc Mélenchon. The candidates have created plenty of debate in the country, all offering dramatically different visions of Europe, immigration, the economy and French identity. Extra security measures are in place on polling day after Karim Cheurfi, a convicted criminal, shot a police officer in the head on the Champs Elysees in Paris. Cheurfi was killed by security forces and a note defending the so-called Islamic State group was found near his body. National security had been one of the main talking points during the campaign, but candidates have been accused of exploiting the most recent attack for political gains. The race between the leading contenders is considered too close to call. However, no candidate is expected to get the 50% of votes required for an outright win. A second round between the top two will be held on May 7. The unpopular President François Hollande is not seeking a second term, and is the first French president in modern history not to do so.